A professional you can trust! Quality Care Carpet Cleaning is the preferred choice for professional carpet cleaning in Denton, TX and the surrounding communities. We are proud to say we are not the big guys, but a local, family business that is well established because of its excellent reputation in the Denton community. Owner and technician, Tim Moore, is certified in his trade and has over a decade of professional cleaning experience. Having the owner and technician as your professional cleaner, guarantees the same excellent service and quality of work each time. Quality Care Carpet Cleaning specializes in carpet cleaning, tile & grout cleaning, rug cleaning, pet odor removal, upholstery cleaning, and air duct cleaning in Denton, Texas. Invite us into your home or business today, and you will discover why we are one of the HIGHEST RATED carpet cleaning businesses in the area! When quality matters, you can count on us! Quality Care Carpet Cleaning proudly uses the best carpet cleaning equipment in the industry; the preferred truck mounted system. Our powerful extraction cleaning techniques will reach deep into your carpet fibers to thoroughly remove dirt, pollen, bacteria, pet dander, and many other unwanted particles. Your carpets and rugs will look brighter, smell fresher, and feel softer. You just can’t get this type of deep cleaning using rental cleaning systems or dry cleaning methods. In addition, our products are biodegradable, kid friendly, and pet friendly ensuring your home is safe and clean. Our Denton, TX customers rave about us- professional, courteous, knowledgeable, honest, and great service are just a few of the many comments you will see over and over. Because of these outstanding qualities, customers review us as a five star business on Google, Yelp, Angie’s List and Facebook! One coupon per order. Residential carpet cleaning only. On time and incredible job!I needed two bedrooms done to move out of the old house, it had food stains and a “special” red stain that my daughter left for Tim 🙂 he came in quick and the carpet looks better than when we moved into the house!!!! !I would definitely recommend his services! We are a trusted Denton TX carpet cleaner because we always do excellent work, and we consistently treat our customers with an unmatched level of respect and courtesy. Denton Texas has come to know and love Quality Care Carpet Cleaning as one its best carpet cleaners. When an area resident chooses us for their carpet cleaning needs, that customer will get the maximum benefit of our superior services! We can remove pet odors and get tough stains out of your carpet to restore its original appearance that most competitors fail to do. You can trust us to do the best job possible for your carpet cleaning needs in Denton TX! Pet odor removal is our specialty in Denton TX! If not done the right way, it will almost never work. For example: urine removal needs to be addressed all the way into the padding below the carpet. Whenever there is an accident, it will almost always make its way into the padding. Cleaning ceramic tile and other similar materials are perfect for the kitchen and bathroom. To get these surfaces clean – without a toothbrush and a store-bought bleaching product – you’ll need an expert touch. Whenever they are professionally cleaned, they look gorgeous! Quality Care Carpet Cleaning can handle the tile and grout cleaning Denton residents need in every area of their homes! The furniture cleaning Denton needs for all types of upholstery is yet another one of our specialties. Quality Care Carpet Cleaning is the area leader for all types of home and commercial cleaning, and this includes our furniture cleaning, suitable for all fabrics. We’ll carefully evaluate the type of upholstery you have and clean it with specific products so that no damage, bleaching, or staining occurs during the process. We are Denton Texas’ trusted professional upholstery cleaner! Often we are looking down and around to notice our messes but seldom do we look up. 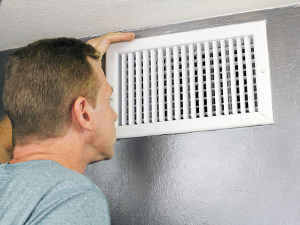 Your air duct unit turns on and off over 70 times a day! With that amount of air movement in your home you can be sure there is dust collected in your unit. In Denton Texas we provide a very efficient air bush technology that cleans your unit. 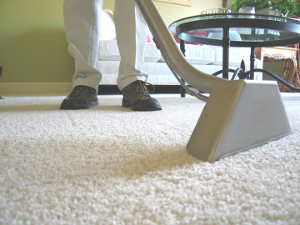 Quality Care Carpet Cleaning is Denton’s choice for carpet cleaning and much more. Invite Tim Moore to have a look at your carpet, upholstery, and tile today! He will give you insight into what may be causing your surfaces to look older than they are, and he can certainly suggest professional cleaning strategies that will give your home an amazing appearance – one that you can see and smell! Quality Care Carpet Cleaning is experienced in carpet cleaning, tile and grout cleaning, upholstery cleaning, air duct cleaning and pet odor elimination. While in your home, we make use of truck mounted equipment, top quality cleaning products and exceptional care in the cleaning of your carpets. We show both professional and sincere concern for your carpet cleaning needs. All of Our Services Include A One Month Warranty! By the time we are finished you will have experienced the finest touch in carpet, tile, air duct, and upholstery cleaning! Your home will look and feel fresh for you, your family, and guests. We are confident you will be fully satisfied with every cleaning visit. Welcome us into your home today and you will be glad you did! “A Quality clean done by a professional who Cares! ” Based in Corinth, Texas, Quality Care Carpet Cleaning is a professional carpet cleaner providing carpet cleaning, upholstery cleaning, tile and grout cleaning and pet odor removal. Proudly serving the north DFW communities of: Argyle, Aubrey, Bartonville (Lantana), Carrollton, Colleyville, Coppell, Copper Canyon, Corral City, Corinth, Cross Roads, Lincoln Park, Denton, Double Oak, Flower Mound, Frisco, Grapevine, Hickory Creek, Hackberry, Hebron, Highland Village, Justin, Keller, Krugerville, Krum, Lake Dallas, Lakewood Village, Lewisville, Little Elm, Northlake, Oak Point, Ponder, Providence Village, Roanoke, Sanger, Savannah, Shady Shores, Southlake, The Colony, Trophy Club, Westlake and surrounding areas.